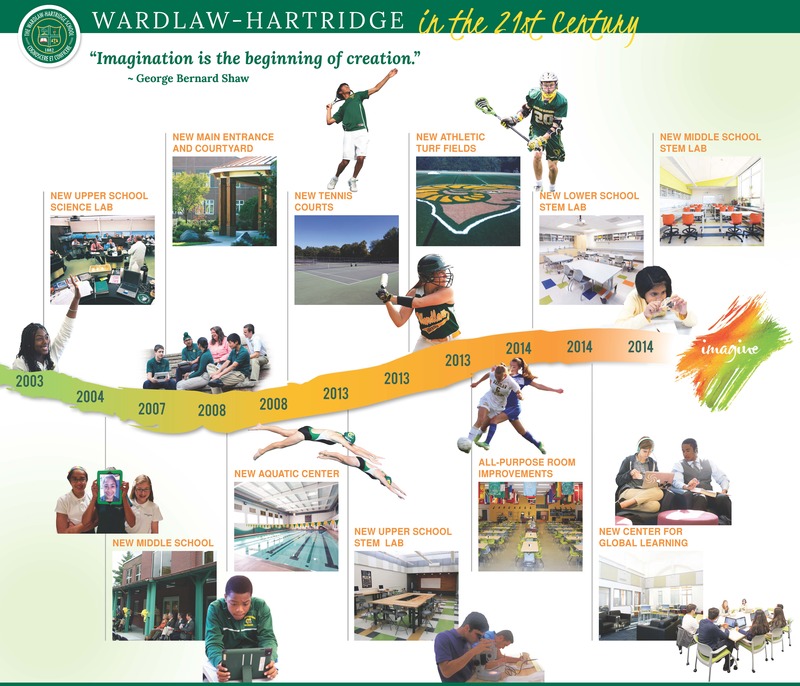 In the 21st century The Wardlaw + Hartridge School has pursued campus improvements in science, technology, engineering, math, the arts, and athletics. Our campus must support the teaching and learning of 21st Century Skills at a high level. We are not done yet, but we have made enormous progress. Below is a timeline showing the work our generous donors have helped the school accomplish over the last 10 years. This is a visual representation of the progress we have made and will continue to make as we go forward. A full scale model of this timeline is on display in our main lobby. These enhancements to our campus would not be possible without the wonderful generosity and support of everyone in the W+H community. .